During the dead of winter — typically the slowest tourism time in Coronado — a wave of swim teams comes to town and fills hotels, restaurants and local stores. 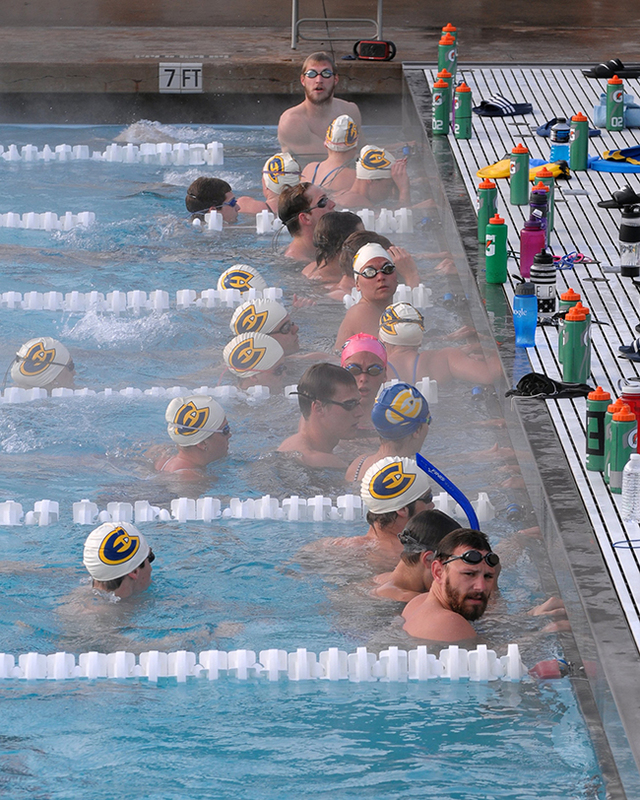 These teams spend almost a half million dollars in just a few weeks and spend their time training at the Brian Bent Memorial Aquatic Complex (BBMAC). The economic impact for the local community keeps growing every year. Last year alone the BBMAC hosted 680 swimmers on 26 teams. 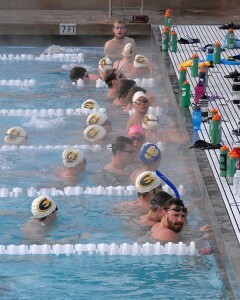 These teams stay in Coronado for one to two weeks and train between early December and late March. This year, the Coronado Tourism Improvement District (CTID) is making a generous $10,000 marketing grant to the BBMAC to further the economic impact the aquatics complex has created through hosting college and elite club swimming teams. The BBMAC has established several mutually profitable relationships with hotels in Coronado. Together they create swimming and lodging packages to market to teams around the country. The packages are a large selling point to coaches who don’t have the time to complete the research on their own. The residual economic impact trickles throughout all of Coronado. Restaurants see substantial spikes while teams are visiting. The BBMAC also encourages the teams to utilize cross-training activities such as kayaking, SUP and biking. These activities require rented equipment from local vendors. Increasing marketing through modernized and targeted measures has historically been shown to drastically increase both outside revenue and college team bookings. The BBMAC partnered with Raindrop Marketing in 2014 to spearhead these efforts: college team bookings doubled for the aquatics facility for the subsequent 2014-15 year. In 2010, the BBMAC rented the entire facility to seven teams. The next three years saw between 12 and 15 teams each year. Marketing efforts in 2014 more than doubled that to 26 teams. Additionally, approximately 50 percent of teams re-book for the following year shortly after their training camp concludes. Some teams come every other year. Both the University of Wisconsin — Whitewater and University of Nevada Las Vegas will celebrate their eighth year of training in Coronado this winter. The new campaign will reach 400 elite and Olympic teams. Once the CTID sponsored campaign ends, all these teams will be integrated to ongoing BBMAC digital marketing efforts. By reaching out to these new teams through the CTID partnership, the BBMAC has the potential to continue to drive substantial economic impact for Coronado during the slowest economic time of the year. As these teams commit to training in Coronado the following year and as the BBMAC increases its outreach, Coronado looks to enjoy the financial benefits for decades to come. Visiting swim teams practice at the Brian Bent Memorial Aquatics Center (BBMAC). Swim team members enjoy breakfast at the Glorietta Bay Inn, one of several Coronado hotels that participate in the BBMAC partnership program.